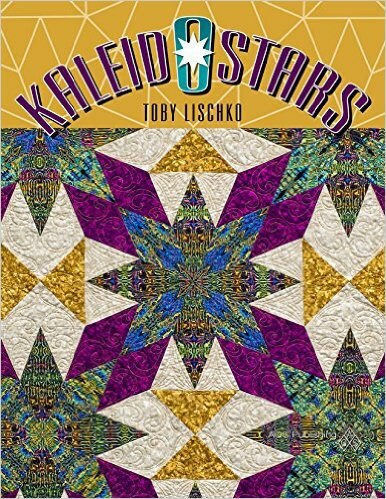 Author, designer, and teacher, Toby Lischko does! 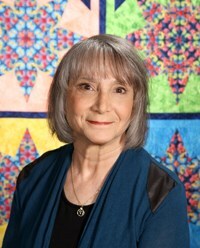 “I have been quilting since 1985 and teaching quilting workshops since 1995. I consider myself a traditional quilter who loves working with traditional quilt blocks, but like to add my own special flair. 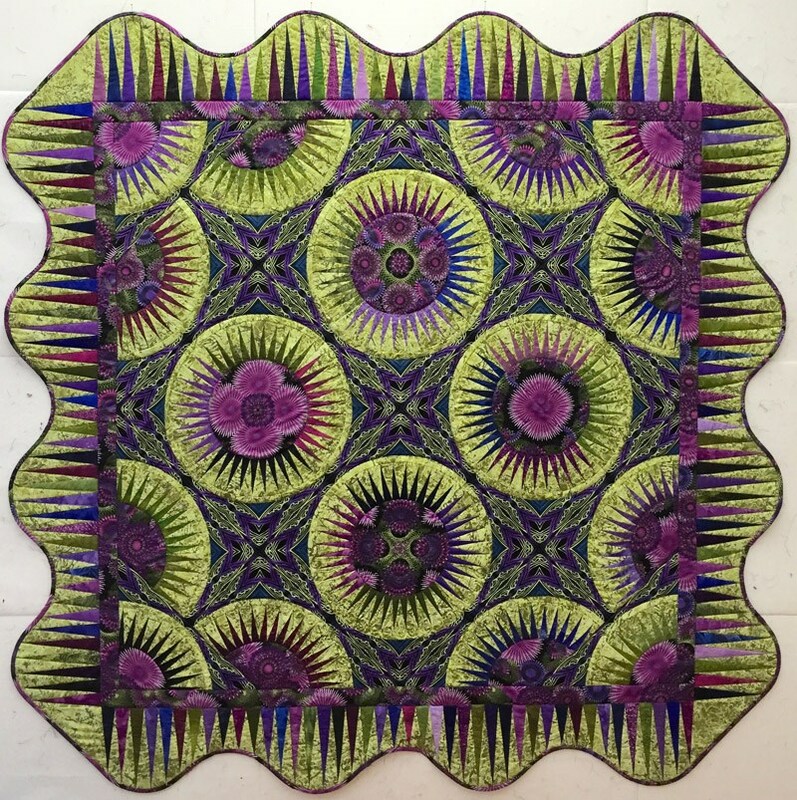 I have won many national awards for my quilts including a blue ribbon for my Celestial Crowns quilt at the AQS show in Paducah, Kentucky and the MQX show in 2005. 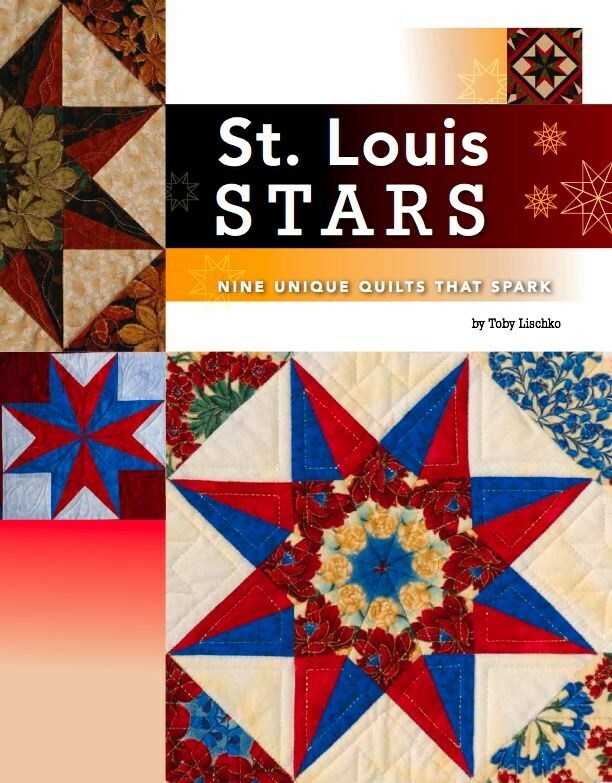 I have my own line of patterns and templates under the name of Gateway Quilts & Stuff, Inc. and two books St. Louis Stars and Kaleidostars. 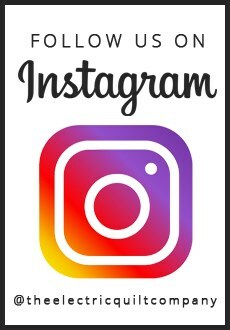 I also do commissioned work for many of the fabric companies and have been published in most of the major quilt magazines since 1998. 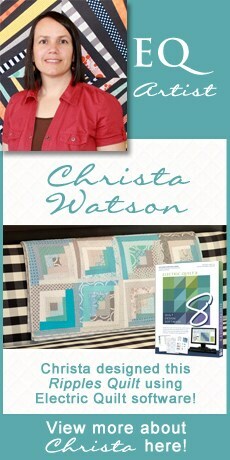 I love to travel and teach and always tell my students that I use Electric Quilt to design all of my quilts. Being a devote Mac user I started designing with a different quilt design program and kept hoping that EQ would make a version for the Mac. Finally when Apple came out with a computer system that would be able to run both Mac and PC programs, I got quick demo at a quilt show of how to make the Lone Star quilt with EQ4. At that point I was hooked! I took it to my hotel room, loaded it on my computer and I haven’t set it down since! I am thrilled that they now have a Mac version and the new EQ8 version is so user friendly that I think when I teach classes now, it will be easier for students to pick it up.